Business safety solutions are one of the most critical security measures companies should invest time and money into now more than ever in today’s society. With all of the violence happening across the country, safety and security initiatives are crucial. Surveillance systems and buzz-in systems are not enough protection as a stand-alone measure. These types of systems are great to assist with the safety and security structure of your facility. However, they do not notify responders nor do they alert staff and employees a violent crime is occurring. Excellent business safety solutions can add a level of security that no one product can offer. When you are gathering information about which initiatives would best fit your facility, consider a panic button software system. There are several panic button software programs on the market. All are varying with custom features and add-ons to aid in getting notifications out quickly and quietly to necessary recipients. Where Do Business Safety Solutions Start? The receptionist is usually the first person that patrons see when they enter your facility. Your company counts on the receptionist to handle anything that comes through the front door. A receptionist juggles many tough responsibilities throughout each day. One of the most important is serving as a “watch person” for anything that might threaten the safety of employees and guest. Incorporating a receptionist safety procedure checklist gives receptionist the knowledge to protect your organization against any security threat they may find themselves facing. The receptionist is a company’s first line of defense when it comes to office security. Does your receptionist know precisely what to look for in identifying a potential security threat? What Should you Add to your Business Safety Solutions Checklist? 1. How to spot “red flag” behaviors. Having all receptionist and staff trained as “aggression first observers” allows them the ability to spot the indicators of emerging aggression. This training could help them mitigate against the threat of violence. While the installation of high-tech security equipment will help make your business safer, no technology solution is 100%. Security gurus will tell you it is vital to be aware of the tell-tale warning signs potential assailants display before they carry out their intentional violent act. What are the Types of Aggression? There are two different categories of aggression that people fall under who commit violent crimes; Primal aggression and Cognitive aggression. The first category is primal aggression, which is the primal instinct of fight or flight and is fueled by adrenaline. Criminals ruled by primal aggression are often driven by panic or rage. Generally, violent offenders in this category are easy to spot. Most would consider primal aggressors to be fueled by stress factors that would be perceived as being motivated by frustration, threat, anxiety, or fear. This adrenaline induced anger typically represents a progressive loss of self-control. For example, the disgruntled employee throwing a temper tantrum in the lobby after being fired would be considered a primal aggressor. The second category is cognitive aggression, which is characterized as conscious and deliberate aggression that is intent driven. The cognitive aggressor is more calculated in their attack on their potential victim. They crave a more focused and strategic desire to complete the mission of violence. These types of aggressors plot and plan their revenge with tactical precision. Typically a cognitive aggressor is hard to identify if you do not know the warning signs. The cognitive aggressor may seem very calm or almost detached. Many scholars say these type of aggressors are the most dangerous. Scholars suggest this is the type of person that will become the next random shooter or terrorist. Moreover, both types of aggression consist of nine different stages. Each stage is a precursor to the next and gives you the ability to get out in front of the situation if you trained in spotting these behaviors. 2. Every business safety solutions checklist should have a visitor policy, even those that serve the general public. The specifics of the policy will differ depending on the industry. However, some sections of the visitor policy will be universal. For instance, all policies should clarify authorization procedures. Make sure it is clear who in the office has the authority to approve office visitors. According to your company, this authorization can be carried out by the office managers, the receptionist, or anyone else designated the ability to admit guest. Your visitor policy should also include information about which office areas are open to guest. In general, varied levels of restricted access beyond the lobby is a common workplace practice. Furthermore, companies should keep a record of visitors in the office at all times. A visitor sign-in procedure, including the request for proof of identification, is crucial for knowing who is in your office in case of an emergency. 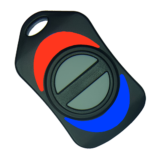 Many companies also choose to clearly identify workplace visitors via printed ID badges. This is a cost-effective and straightforward approach to quickly recognize a guest in your facility. Visitors should be accompanied by an employee at all times while in the office. Company policy should state that visitors shouldn’t be allowed to wander around on their own for both security and safety reasons. 3. Proven strategies for defusing angry visitors or coworkers before a situation escalates. When dealing with angry people, learning how to defuse a tense situation is a crucial skill to possess. It is easy for a receptionist to get frustrated when they are confronted with an angry person. If the receptionist doesn’t know how to react in such situations, the wrong response can quickly make the situation worse. The safety procedure checklist for your business should show how properly dealing with angry people will help mitigate the already tense situation. When dealing with angry people, the receptionist/staff members should be aware of the different types of anger. Everyone knows what typical anger looks like. However, people can cover up the visible signs of anger but contain fury under the surface. This type of subtle anger is called passive aggressive. Below are the six common anger types that staff members may face when dealing with an angry patron. The business safety solutions checklist that your company assembles will assist staff members in spotting these different types of anger. Volatile Anger – Violent behavior or angry verbal outbursts that are grossly out of proportion to the situation. Chronic Anger – An episode of anger may dissipate quickly and harmlessly or evolve into a murderous rage. Incidental Anger – Anger triggered by an unrelated situation, promotes unethical behavior. Empathic Anger – Empathic anger is felt in a situation where someone else is being hurt by another person or thing. It is possible to see this form of anger as a pro-social emotion. What Some other Business Safety Solutions? Opening the Business: Have two or more employees unlock the business together. One should stay outside, while the other checks the interior. After clearing, both can enter the premises. Closing the Business: Staff should accompany each other out to their vehicles, especially at night. IF this is not an option, see if security guard can walk you out or park in a well-lit area. Panic Buttons: Panic buttons should be installed at the front entry point of your business. Make sure there are phones at all entry points. Bank Deposits: Employees making bank deposits should always go in pairs. If you are alone, vary the times of deposits. Carry the deposit bag in an everyday bag. Furthermore, never use bank bags as this is an obvious situation for hold-ups. Parking & Walk Areas: Make sure all parking areas are well lit at night and early morning. This prevents dark areas for an assailant to hide. Furthermore, keep the building clear of bushes and debris as well. 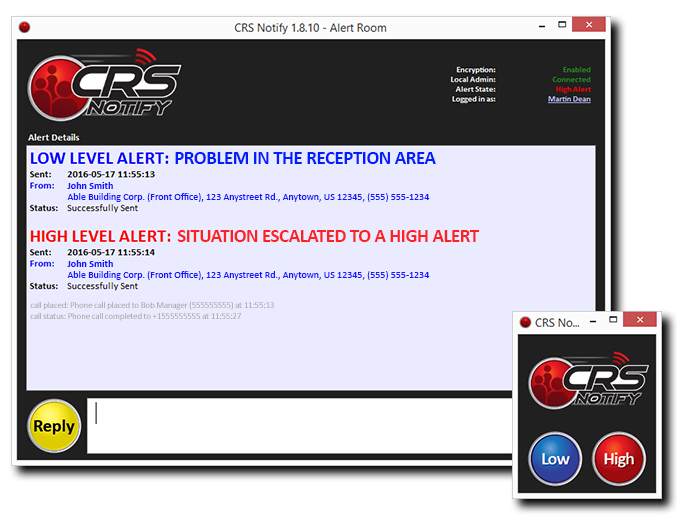 Looking for a Panic Alarm System?